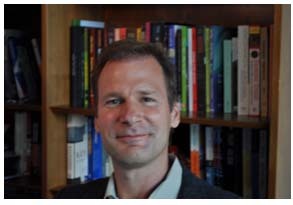 Dr. John Shindler is a Professor of Education at California State University, Los Angeles. He is the Director of the Alliance for the Study of School Climate (ASSC), and the creator of the top rated School Climate Assessment Instrument (SCAI) that is approved by the US DOE, and used by states, districts and schools internationally. He is also the author of the books Transformative Classroom Management, and The Transformative Leader’s Guide to Moving their School Up the Growth Pathway and several articles related to school change, classroom assessment, and learning and teaching styles. He is also the creator of the Paragon Learning Style Inventory. He consults nationally to the US DOE, state departments of education, districts and schools around the country and internationally. This book is a synthesis of what I have discovered to be most effective in the area of classroom management. It is reflects years of research, my experience as a teacher, observations of hundreds of classrooms, and the best ideas that I have read or heard about. This book is intended for anyone who works with young people or plans to in the future. Practicing teachers, pre-service teachers, parents, administrators, support staff and coaches should all find it useful. The content of the book is intended to cover the topic of classroom management comprehensively - from the practical techniques for achieving ease, clarity and smoothness, to more transformative techniques intended to promote fundamental student growth and development, from helping those students who come to us with habits of problematic behavior, to increasing each students’ levels of motivation, from the practical steps for developing classroom rules to a comprehensive system for creating a classroom community. At the heart of the book is an examination of what it takes to create within our students, individually and collectively, a “psychology of success.” This concept is explained practically in Chapter 7, revisited throughout the book, and provides the framework for what is required to achieve transformative classroom management results. I have been an educator for 25 years, and have taught at all levels K-University. I have been in hundreds of classrooms and have taught thousands of students. Overall, I see an encouraging trend, yet when I reflect on what I have witnessed over the years, much of it is still perplexing. I have observed too many talented teachers who struggle with classroom management. I have seen some of the best practices remain largely unused. In addition, I have found that not all ideas sold in the market place of classroom management strategies lead to entirely desirable results. In fact, many of the most popular ideas appear to result in as much harm as good. For that reason, a good portion of the book is devoted to explaining the flaws within these strategies, and what to do instead. In each chapter you will find chapter reflections within the text that relate to the content immediately preceding it. Reading and/or reflecting on these reflections is optional, but should provide the reader an opportunity to process the text in more depth. At the end of each chapter, journal prompts are included. These prompts will be useful for readers who would like to process what they have read. Some or all of these prompts may be assigned as part of a teacher education course to promote retention and provoke a deeper examination of the content. Finally, each chapter includes at least two chapter activities. These activities are intended to help those working independently or in groups to process the content of the chapter, synthesize material, and/or create components of a “classroom management plan.” Practical guidelines are offered for the development such products as a classroom social contract, a process/participation assessment system, a set of logical consequences, and a series of technical management strategies. Rather quickly the reader will notice that the book enters some relatively uncharted territory – the realm of teacher thought and mindset. There are two primary reasons that I have chosen to venture down this road. First, the vast majority of our activity each day occurs between our ears. If we are intentional about it, we will be much more effective. Second, what I have found is that what primarily keeps teachers from effectiveness and/or growing into the kinds of professionals that they would like to become is most often found in the domain of their thought processes and habits. What holds us up is not usually a lack of information or insufficient talent, but patterns of thinking. This book should be owned by all new teachers and even old teachers who need help with managing their classrooms in a positive way! Through psychological theories, this books provides strategic ways in helping teachers create student-centered classrooms. Although when I first began reading this for my graduate class in classroom management, I was skeptical that it was another book on theories with no practical applications for teachers to actually implement. However, this book provides specific techniques to use. As a teacher for over a decade, I would highly recommend this book for new teachers and experienced teachers alike. Even if you find that you incorporate many of the strategies already, the tone of the book also brings into focus why we all got into teaching in the first place. Transformative Classroom Management is a useful approach for teachers who want to create a more positive environment for their students and themselves. The author has studies that conclude his approach also improves achievement for students, as well as making management easier. I found it a very helpful approach, particularly the information about teacher language and the effects of praise and competition. I also appreciated the authors description of what people mean when they say something won't work in "the real world" and when others tell you they "tried that" and it didn't work. 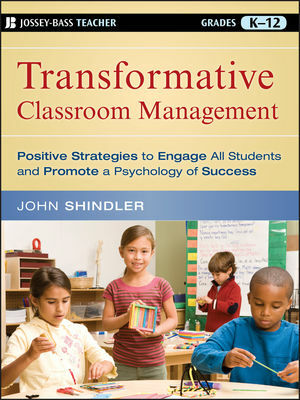 Transformative Classroom Management is a wonderfully readable, thoroughly practical, and exquisitely useful resource. I have used the ideas from this book and found them to be empowering and clarifying points, leading to better classroom experiences. As a person who is usually bored by books about education and frustrated by most textbooks, trust me when I tell you the writing in this book is clear, informative, and even humorous -- it has a human element that many textbooks lack. Moreover, the diagrams and, more surprisingly, reflection sections are insightful and useful. It is difficult to communicate my confidence in and enthusiasm for the resourcefulness of this book! If you are currently teaching and want to improve your classroom management, but feel you are too busy to read several hundred pages, don't worry: you can refer to key chapters and immediately incorporate new insights into your approach. For this purpose, I recommend starting with "Promoting Clear and Shared Classroom Expectations" or "Developing Logical and Related Consequences Within the Social Contract." Otherwise, start at the beginning and read through or skip around as your interests and classroom culture require. Eric New Teacher – Amazon review 5 star rating.